House buyers are often faced with the dilemma of old versus new, leading to the debate of which offers the best value for money - a new, or second hand property. While older homes traditionally have larger rooms, re-decorating and laying new carpets are just some of the DIY jobs many of us have planned when we move into a ‘used’ home. Buyers may also want to consider the age of an existing boiler in a second hand home, and the fact that they may be faced with an expensive replacement – as opposed to a new home which boasts a modern, energy efficient bolier. Roofing may also be an issue due to broken tiles and guttering, particularly in the winter months. A replacement kitchen and bathroom may also be on the wish list when buying a second hand property. However, buying a new house can not only cut down the cost, but also put buyers in the driving seat when it comes to those finishing touches – as well as saving on energy and bills. 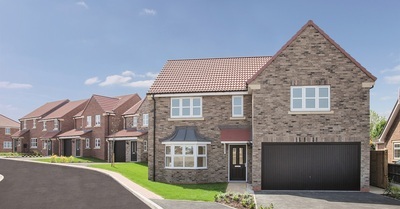 And with a number of existing and new developments around the region, Linden Homes North is helping to promote the ‘out with the old, and in with the new’ theme when it comes to moving house. A number of coming soon developments are also due to get under way in the new year, marking an opportunity for buyers to snap up a brand new home from plan. There’s a chance to save money through Government-led incentives for first time and new homebuyers, including the popular Help to Buy scheme where eligible buyers need only a five per cent deposit. Building warranty - all new homes come complete with a New Homes Building Council 10-year guarantee or similar warranty. As well as a valuation on a second hand property, most would-be purchasers would need to pay out for a homebuyer’s report - and then there is the possibility of a full structural survey on top of that! Location is a careful consideration with house builders when looking for a new site at which to build – with knock on benefits of schools, shops and other amenities close by benefit the new communities living there. For details of where Linden Homes is building near you and for information on the varied incentives that could curb the cost of moving to a brand new home, visit lindenhomes.co.uk.